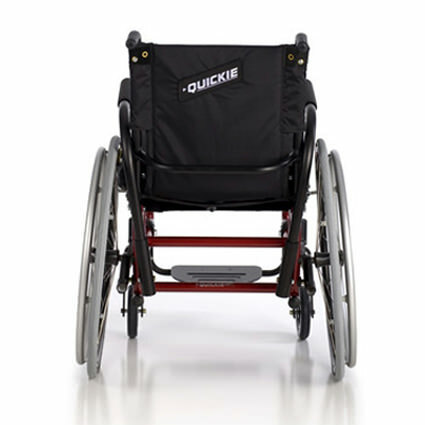 Quickie GP/GPV ultralight manual wheelchairs are ideal for active users who need a versatile wheelchair for everyday use as well as sports activities. 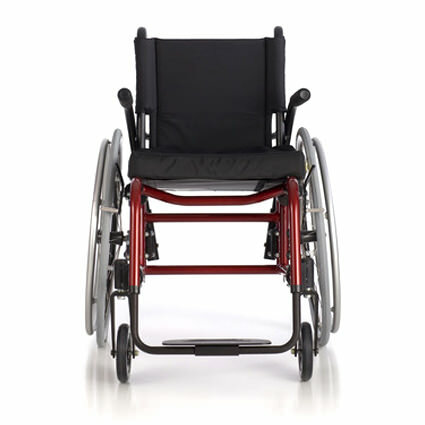 The one-piece welded frame offers a solid, rigid ride and a lighter overall wheelchair weight. The Ultimate Rigid Frame :- The GP's hand-crafted box frame has stood the test of time. 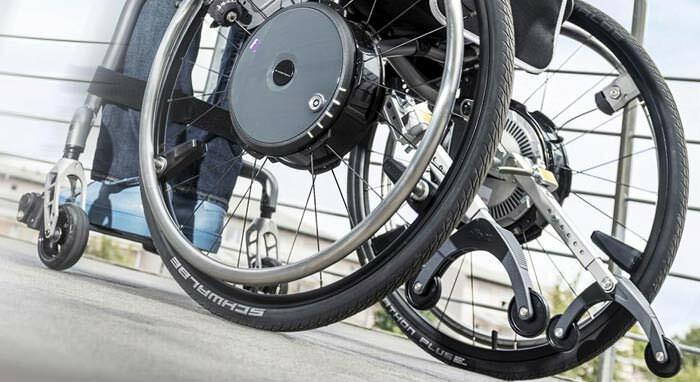 Its one piece construction exceeds Quickie's superior standard of quality and delivers an unmatched rigid feel to your wheelchair. 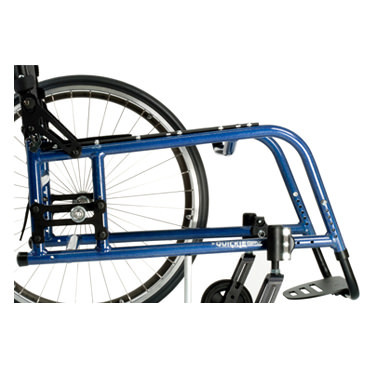 Tapered and Swing-Away Front Frame Options :- The GP's multiple front frame options and angles give you the positioning you need without having to sacrifice a rigid frame wheelchair. Choose between the standard GP, tapered GPV for increased maneuverability and the option of elevating legrests. 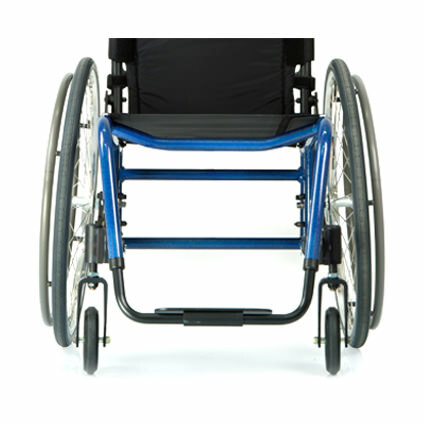 Sports Performance :- The GP isn't just another everyday wheelchair - it will give you an edge in your next basketball or tennis game as well. 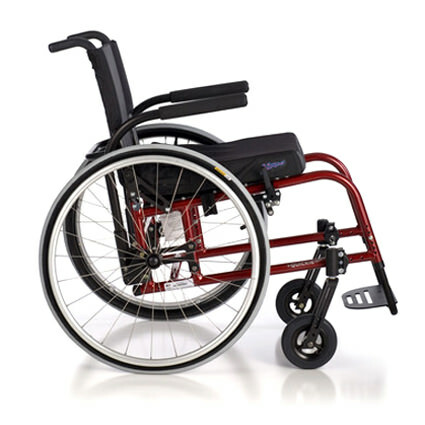 The tapered GPV front frame, optional Quickie Performance wheels, and up to 12° of wheel camber combine for exceptional maneuverability on and off court. 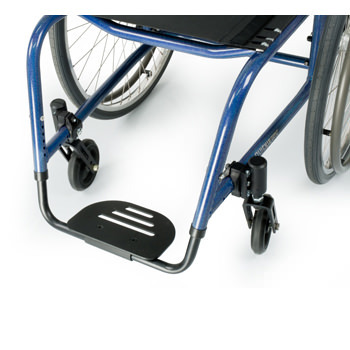 Overall width 23" - 31"
Caster options 3", 4", 5", 6"
Available on 12" sling depth. Available on 13" sling depth. Available on 14",15" sling depth. Available on 14",15",16" sling depth. Available on 16",17" sling depth. Available on 17",18" sling depth. Available on 18" sling depth. Available on 19" sling depth. Available on 20" sling depth. Available on 21" sling depth. Available on 22" sling depth. 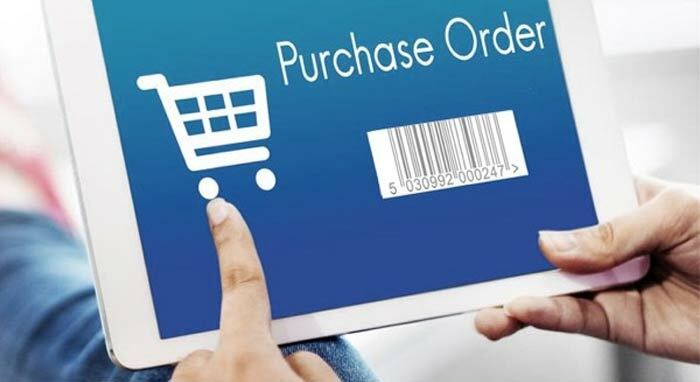 -- Please Select --18 ¼"19 ¼"20 ¼"21 ¼"22 ¼"23 ¼"24 ¼"25 ¼"26 ¼"27 ¼"28 ¼"
Not available with push handles or adjustable upholstery. 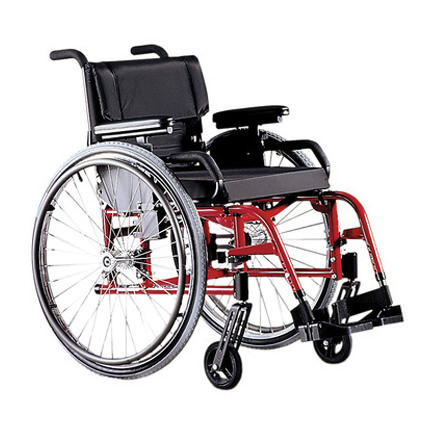 Not available with amputee axle plate or Xtender power assist. Must be removed to fold back down. 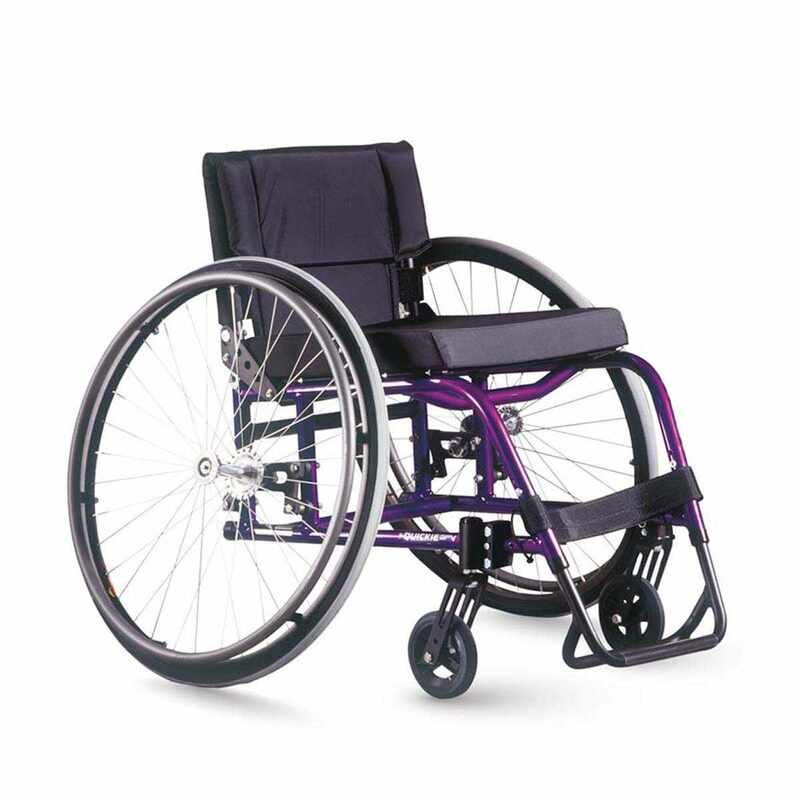 All padded swing-away NA with amputee axle plate or Xtender power assist. Not available with extension tubes. 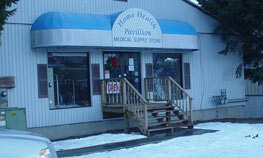 Not available with GPV frame. Only available for use in bottom fork holes. Only available on 60° frame option. Not available with Xtender power assist. Not available with 26" wheels. 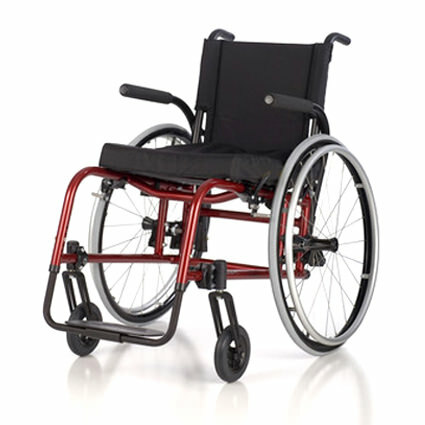 Rear Seat Height 15"-19" with 22" wheels, Rear Seat Height 16"-20" with 24" wheels.Spare batteries must match set up. Anti-Tips included. 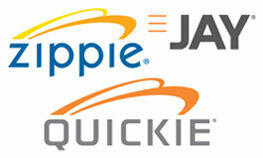 Not available with padded swing-away armrests or stroller handles. Not available with grade aids or extension handles. 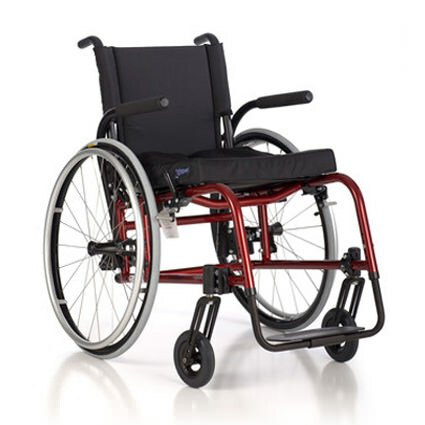 Not available with spinergy wheels or Xtender power assist.